Beard Papa's is a global sensation. We have been a household name since 1999 when Yuji Hirota opened the first Beard Papa’s store in Osaka, Japan and since then we have been pumping out unique cream puffs to many happy people. 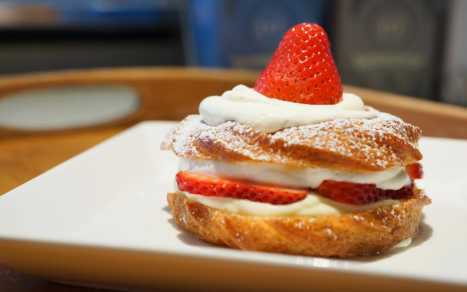 As the worldwide proprietor of what many have called the “World's Best Cream Puffs”, Beard Papa’s has over 250 outlets in Japan and over 100 in the US, the UK, Australia, and throughout Asia including world-class cities such as San Francisco, Los Angeles, and London. We filled each crunchy puff with whipped cream custard every time an order is placed. You can watch as they are being created in the store. Our mission is to pursue uncompromising quality in serving the World’s Best Cream Puffs. By remaining focused on our quality commitment and attention to customer service, Beard Papa’s has courted a devout following of puff lovers who will attest that once you taste our cream puffs, there is no comparison.